I’m not normally one for superlatives but these were just three of the words that entered my head as I toured Europa 2, the new ship from German operator Hapag-Lloyd, on a ‘shakedown’ cruise from Southampton. Such is the sophistication, space and quality that it’s hard to believe you’re actually on a ship and not in a top-end hotel. The finish in even the most basic cabins – which all have balconies – is incredible. The result is the most luxurious ship that I, and many more experienced cruise writers, have seen, putting clear blue water between Europa 2 and even ‘ultra-luxury’ brands such as Seabourn. The 39,500-tonne vessel caters for just 516 guests, giving it more space per passenger than any of its rivals. A key feature is the pool deck that can be fully enclosed with an 80-tonne sliding glass roof. 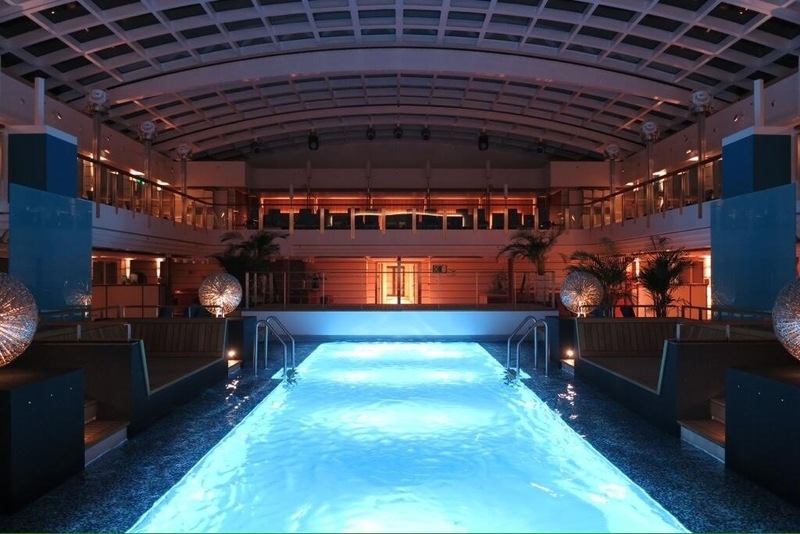 The pool itself is just beautiful, unlike the small and functional ones you are used to seeing on other ships. Here, as everywhere, is modern artwork, including a piece by Damien Hirst. Every corridor, as well as every public space, has an eye-catching sculpture. The eight restaurants cover a wide variety of food, including Asian, French, Italian, sushi and buffet, as well as private dining for up to 16 guests. At the top of the ship is the Sansibar, a relaxed bar spilling out on to the deck during the day and a lively dance venue at night. There’s also the jazz club or the relaxing surroundings of the piano bar. In the small, comfortable theatre we saw an impressive acrobatic show involving bath tubs – it gave a whole new meaning to tap dancing. The spa, which includes a very Germanic ice wall, aims to have enough therapists and treatment rooms to allow massages to be booked within minutes rather than have to make an appointment hours ahead. There’s also a fitness centre, culinary school and rooms set aside for different ages of children. The keyword everywhere is excellence, seemingly at whatever expense. And this ship is beautiful on the inside, too – it’s the first to have catalysts that reduce nitrogen oxides by 95 per cent and claims the highest standards of water treatment. Europa 2 is christened in Hamburg on Friday and sets off on its maiden voyage to Lisbon the following day. I envy those guests. I not only want to sail on this ship, I want to live on it. This entry was posted in New ships, Ship reviews and tagged Europa 2, Hapag-Lloyd, new ships. Bookmark the permalink.